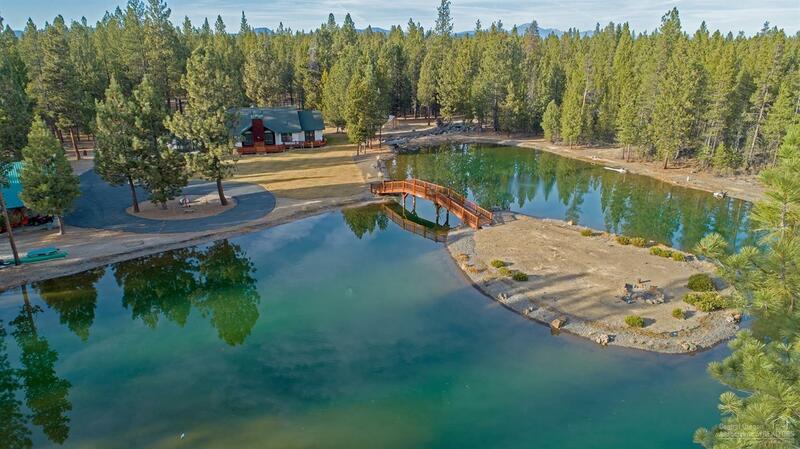 Own your own private piece of heaven. 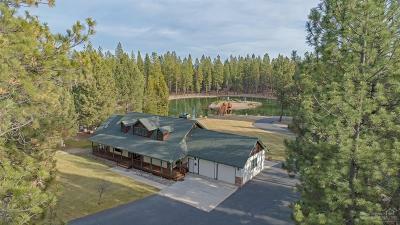 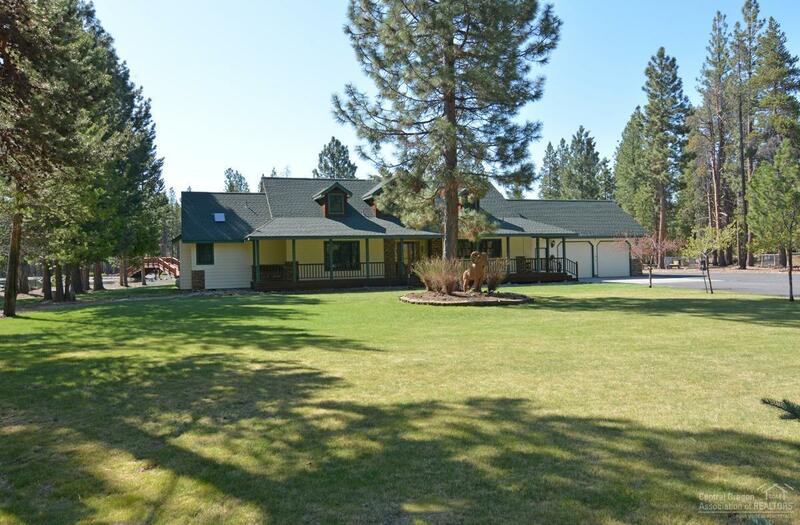 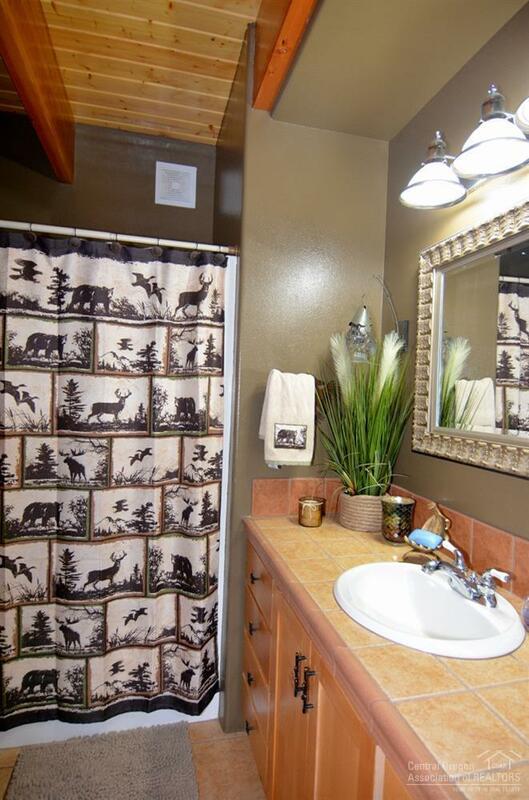 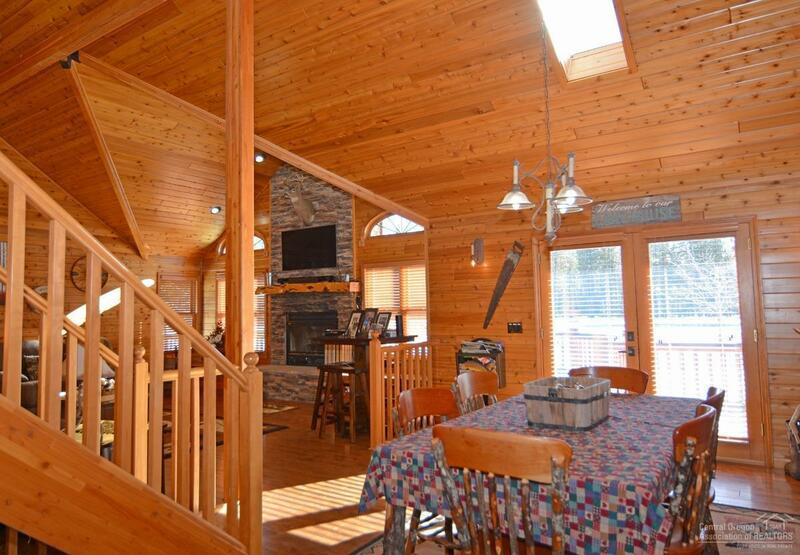 Beautiful home w/gated entrance sitting on 25.02 wooded acres & fully fenced. 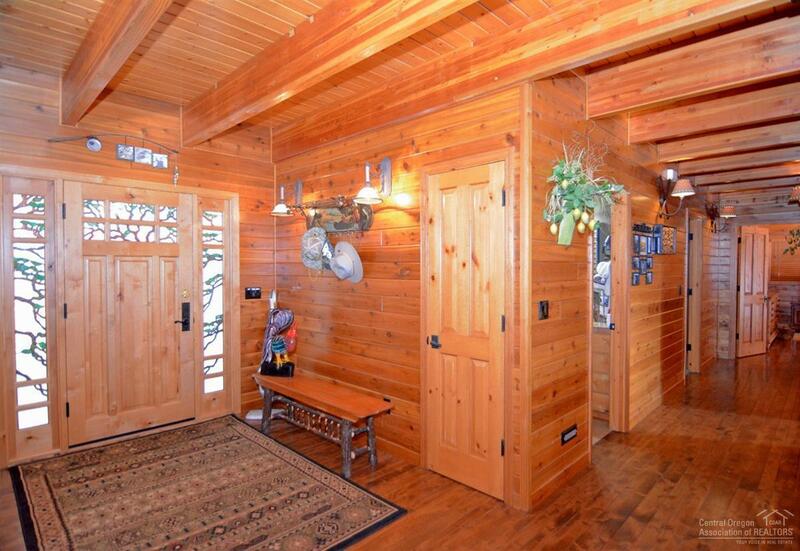 Covered front deck, knotty alder front door w/stained glass side panels. 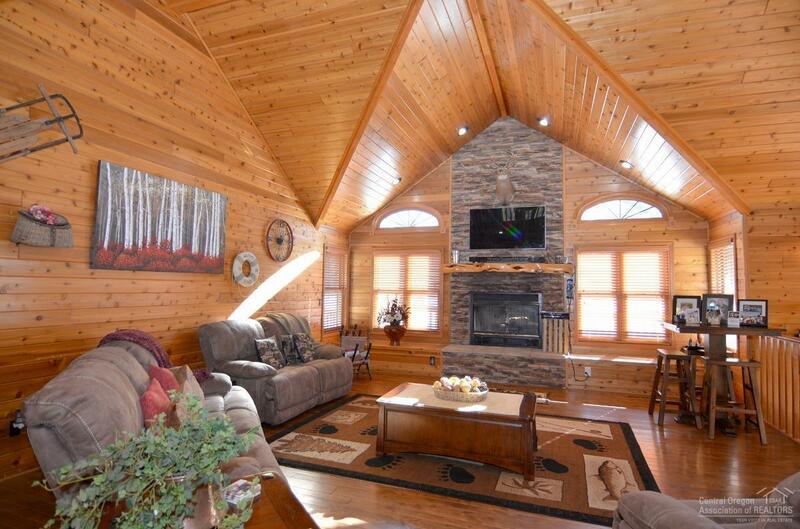 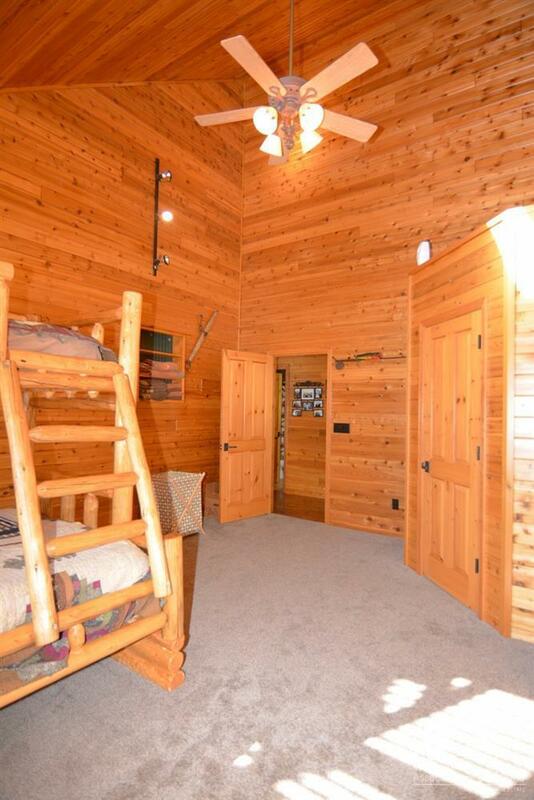 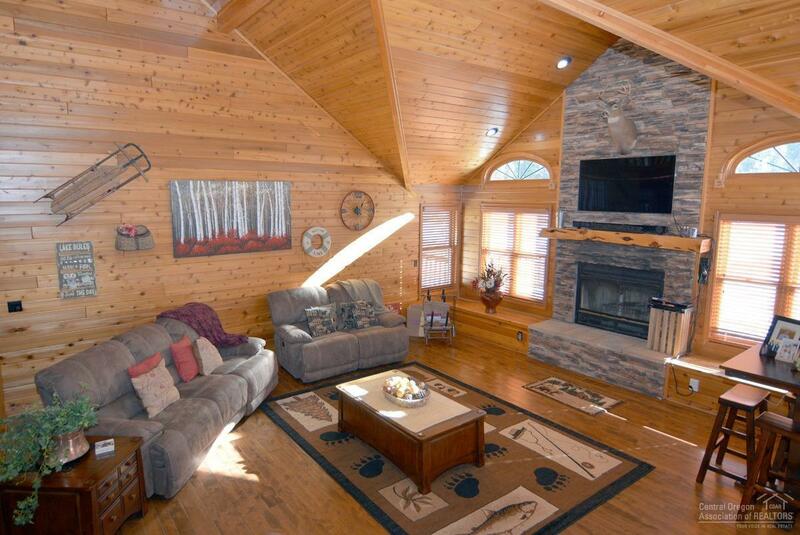 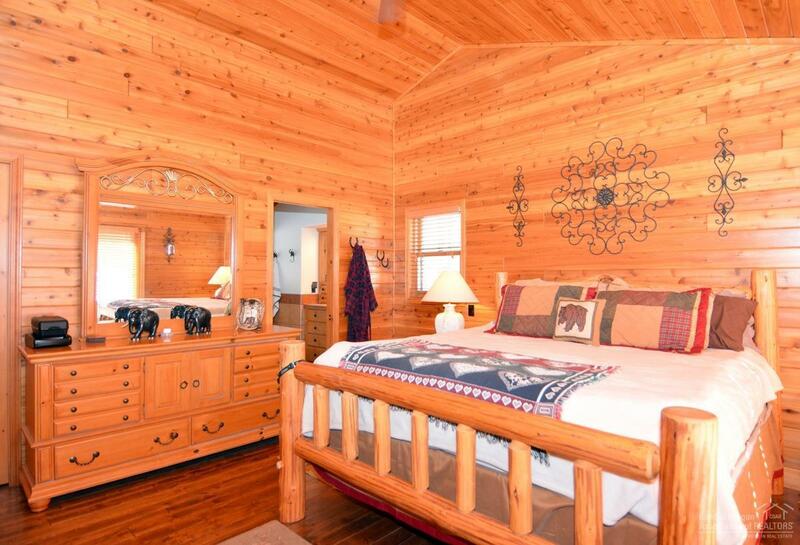 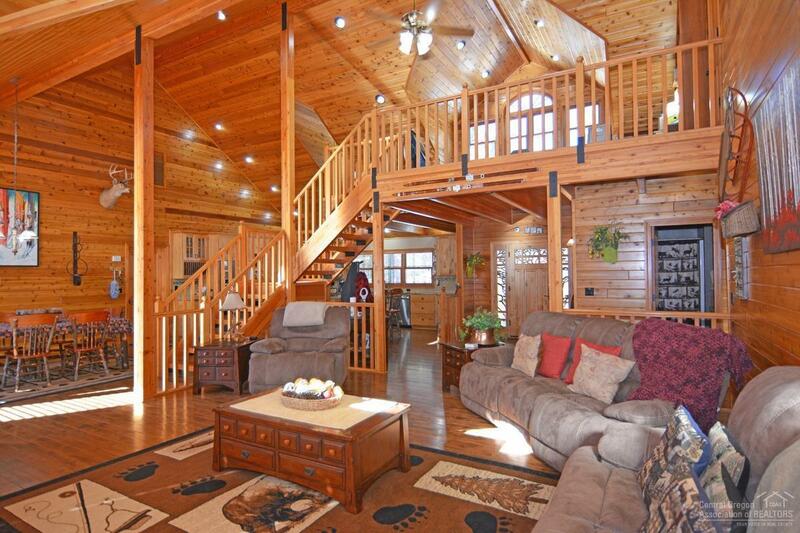 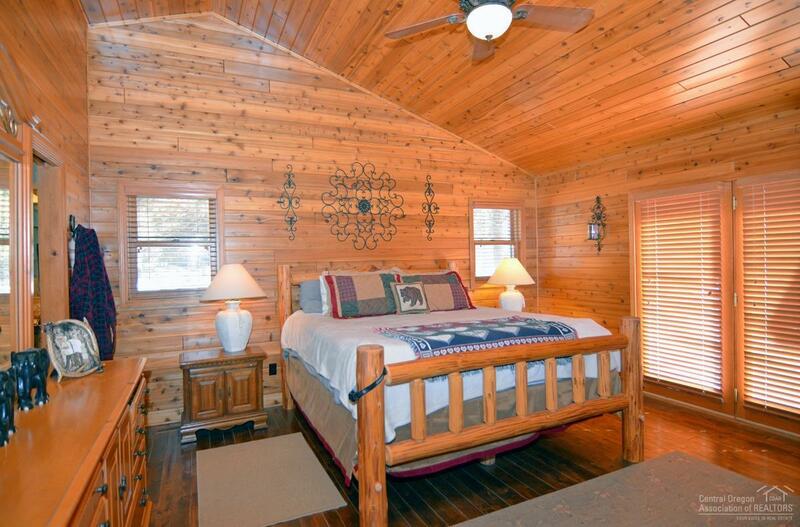 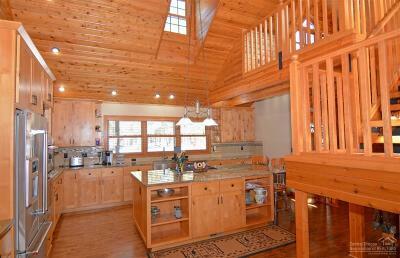 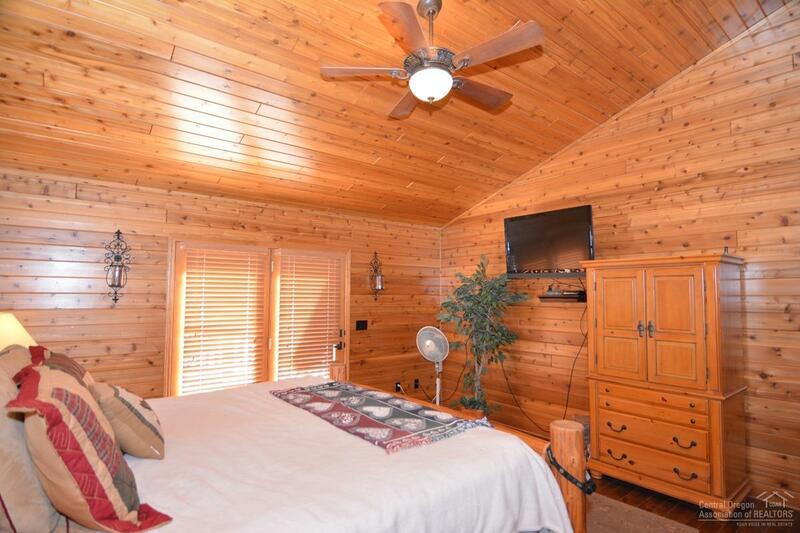 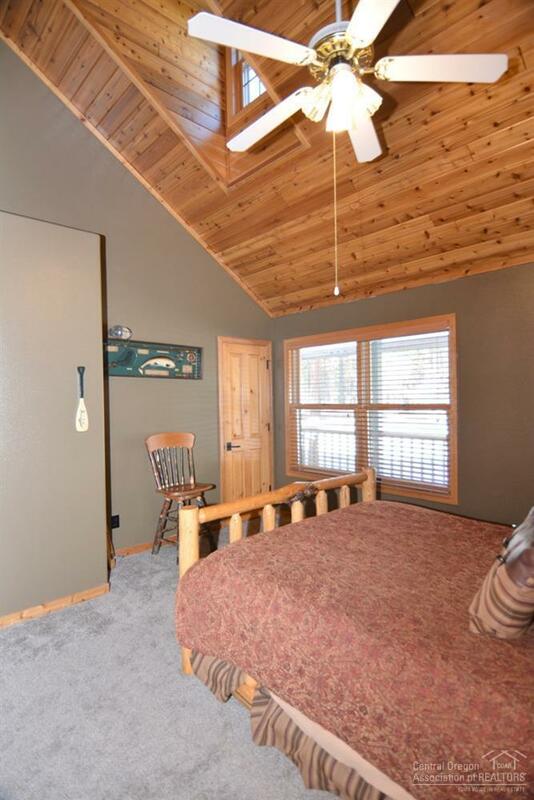 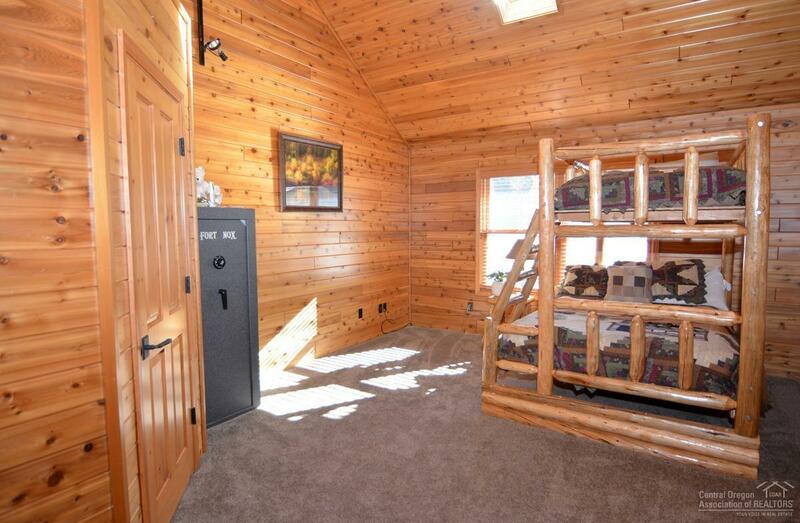 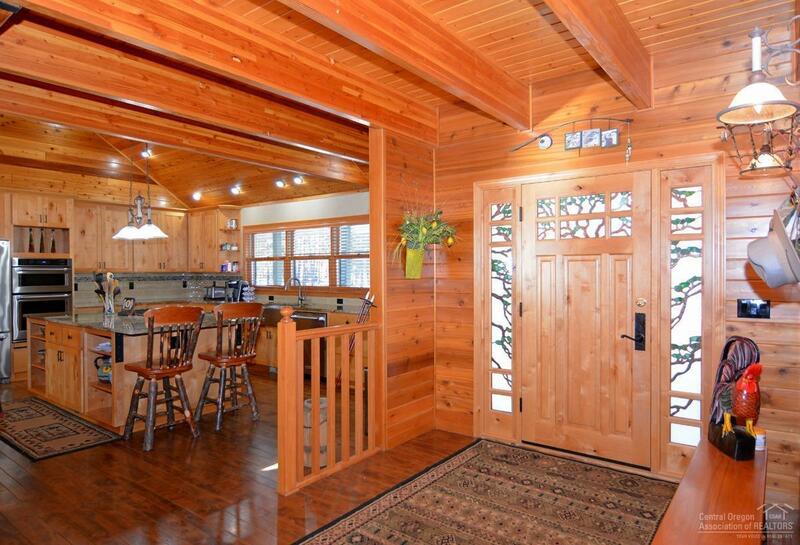 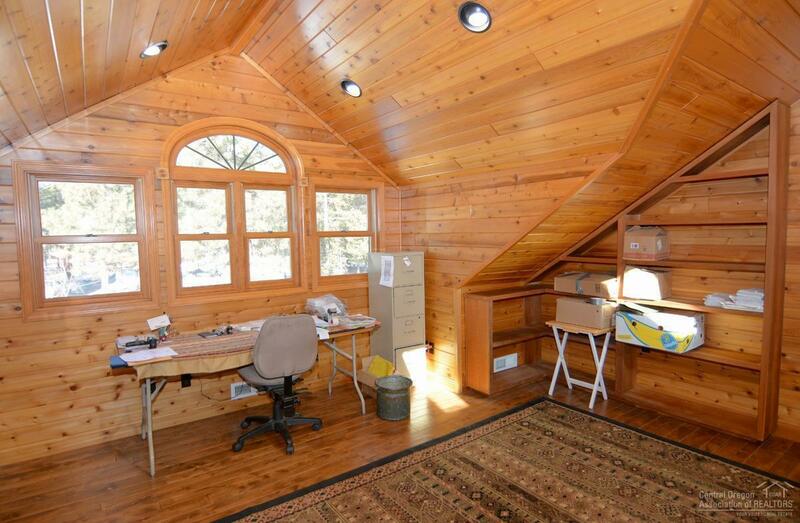 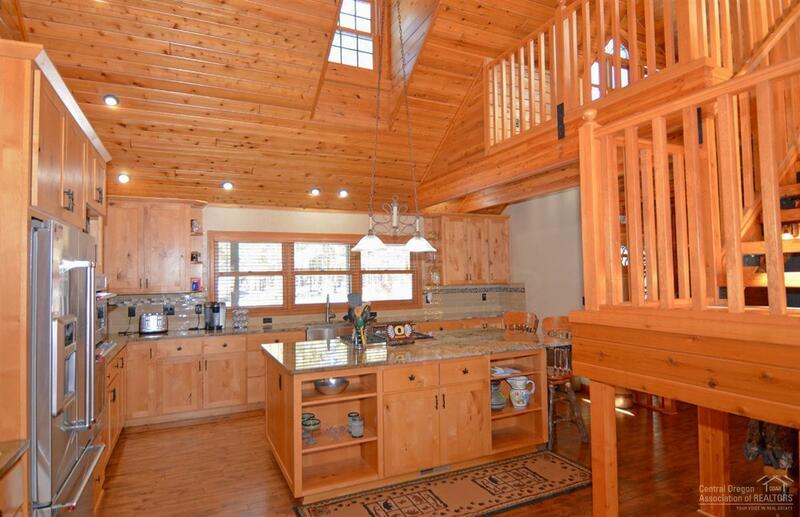 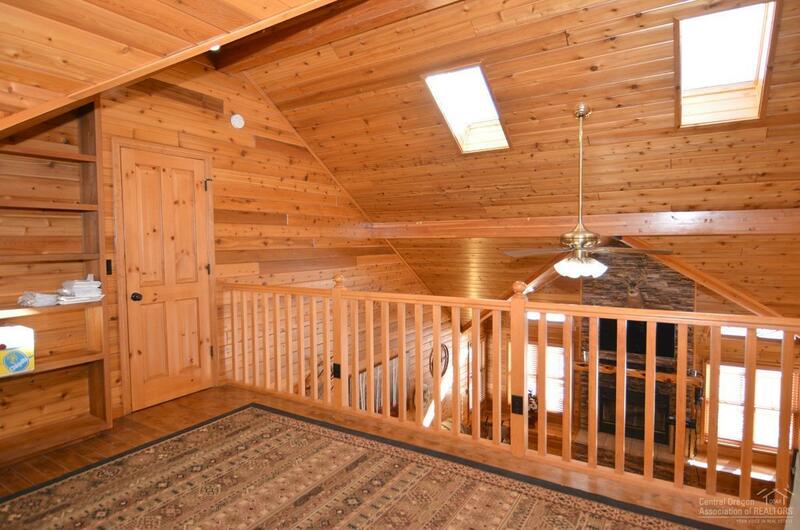 20' vaulted & beamed knotty cedar ceilings, wood laminate floors. Living room w/floor to ceiling shale rock fireplace w/log mantle. 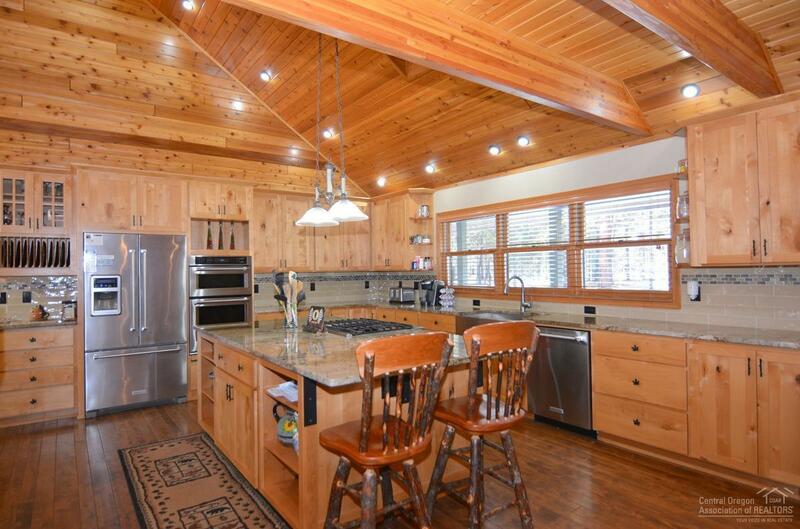 The cook in the family will enjoy cooking in this large open kitchen w/farmhouse sink, solid slab granite counters and plenty of storage. 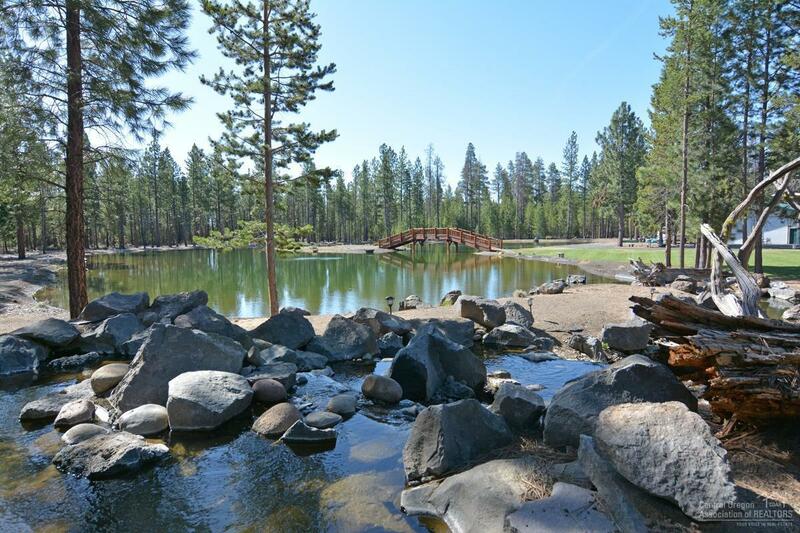 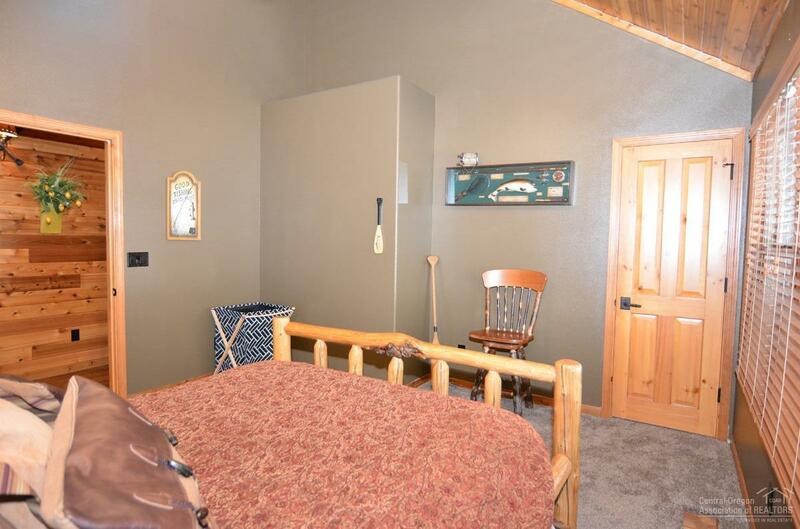 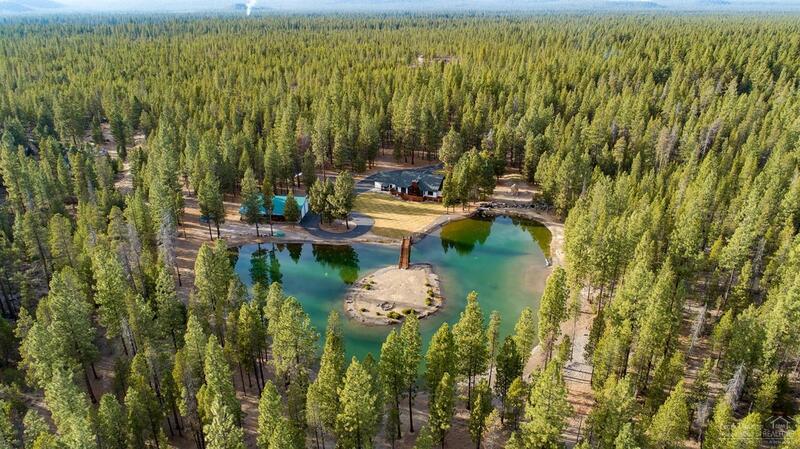 Enjoy the peace and quiet on the back deck w/hand peeled log accent overlooking the 1.34 acre trout pond w/water feature and bridge to the island. 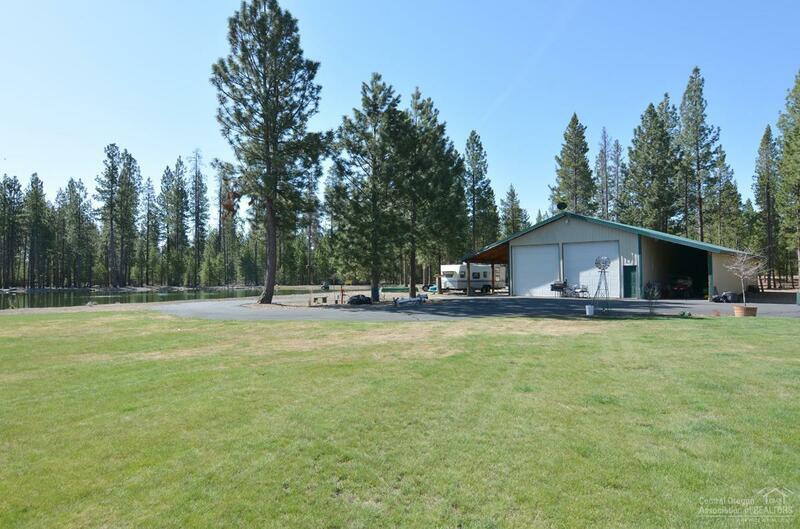 Attached double car garage, detached 54x60 insulated, sheet rocked, heated shop wired for 220 w/covered parking on both sides. 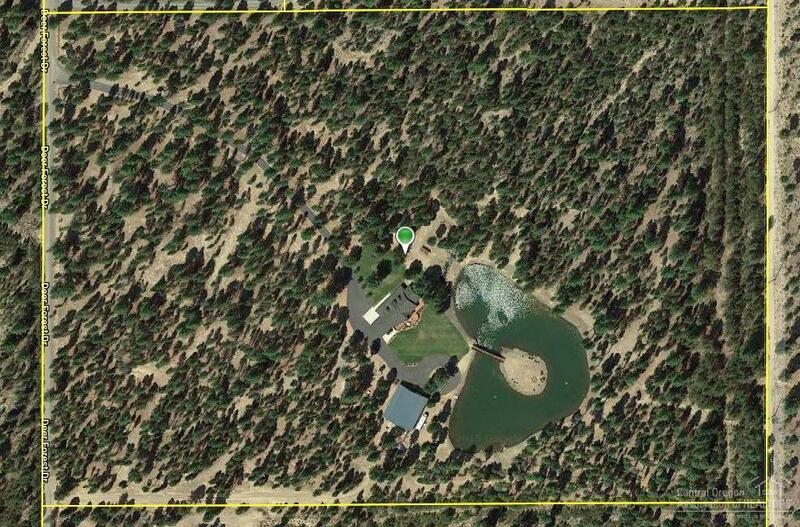 Water rights, F2 Zoning.